Tobacco growers are skeptical of the newly introduced payment systems at various tobacco auction floors, a development that has triggered a wait-and-see approach by most producers who are now withholding their produce, 263ChatBusiness has established. Farmers are being paid 100 percent of their proceeds in RTGS Dollars at auction floors and have to apply to Tobacco Industry Marketing Board (TIMB) through their auctioneers to buy back USD currency of 50 percent using the prevailing interbank market rate yet most farmers do not have the Nostro FC accounts to access the foreign currency. Boka Tobacco Floors managing director Chido Nyakudya in an interview said farmers did not understand the new payment system, neither are they aware what a nostro account is. “Before (interbank market) it was quite straight forward. If you got US$ 2.50 on the floor you would just multiply US$ 2.50 by the number of KGs that’s how much you got paid but now there is an element of exchange rate between the prices on the floor which are in USD but the farmer gets paid in RTGS. If they need to buy back their payment in USD they need to open a nostro account. They don’t know what the nostro account is,” said Nyakudya. 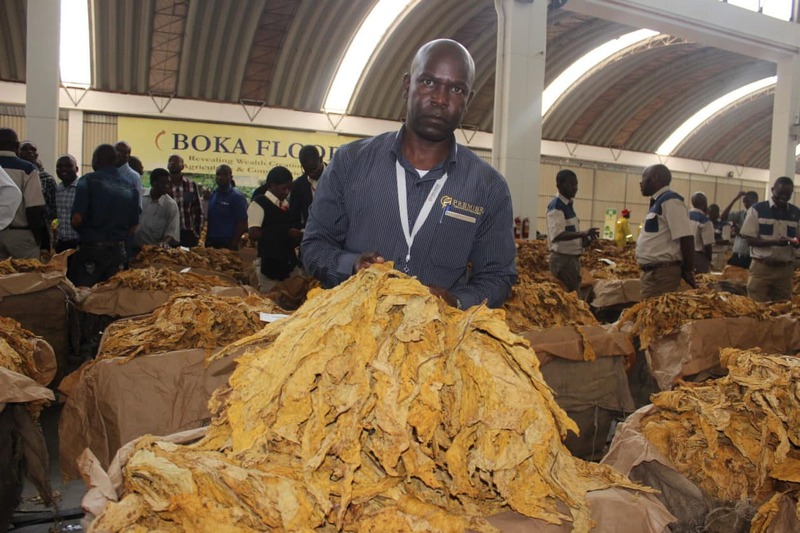 A snap survey by 263ChatBusiness established that there has been a much depleted tobacco grower turn out at the auction floors this year since the marketing season began on the 20th of March amid concerns of farmer prejudice by the auctioneers. Observers fear the current stalemate presents perfect opportunity for illegal buyers (makorokozas) to buy the golden leaf from desperate farmers at a slightly increased price, who then smuggle the commodity to neighboring countries, depriving the country of the much needed foreign currency reserves. On opening day the bale price per kilogram went for US$ 4.50 which was 40 cents less than the price of the first bale last season with prices further sliding during the course of the week. The average price is currently as low as US$ 1.66 per kg. Recently, the regulator, TIMB hiked weighing and auction floor charges from USD 4.50 to USD $ 7.70 per bale, a move that is eroding farmers’ earnings. Analysts have also castigated government for failure to protect producers of the golden leaf from erosion of their earnings which is likely to dampen appetite to produce the crop next season while it will also reduce record output of 252 million kgs realized last year. So far 529 000 kgs have been sold, according to TIMB figures.